Good day. Hope you can help me with this. I'm a bit confused on how to do my returns. I'm a small Alberta contractor in one company. I do charges for GST/HST on all my service. My question is, do I have to less the amount of my expenses (without GST) to my total sales before getting the GST/HST that I have to pay? For example, I made $10,000 sales (with GST included) and I spent $1000 (without GST) and I transfer another $1000 to my personal account from my business bank account. Do I have to less the $2000 to $10,000 then get the GST of the remaining balance for my GST/HST return? 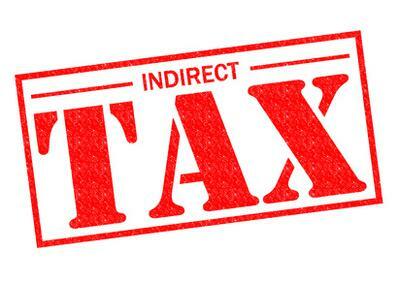 Line 108 Total Input Tax Credits = $1,000 x 5% = $50.00 assuming you have valid receipts showing what you purchased, how much tax was paid and that have you have proof you paid for the purchase or will pay for the purchase in the near future. You need to remit the amount owing on line 109 to CRA by the compliance deadline. I hope that helps and makes things a bit less confusing for you. That helped me a lot. Thank you for that. There is one more thing. Let's say someone did a service for me but he didn't charge me for the GST. At the time of my GST/HST Reporting, should I have to reduce the amount of the payment I did before getting the GST out of it? Let's say my total sales with GST is $1050 so my GST is $50. But then I paid someone of $200 and he didn't charge me for GST. Do I still have to remit the $50 GST even after paying $200 or do I have to reduce the $200 to $1050 and get the GST of the total. You can't claim something you didn't pay. If GST was not charged there is no input tax credit to report on line 108 of your return. Please take the time to read about what constitutes a legitimate receipt for CRA purposes by following the link above called "assuming you have valid receipts". It sounds like you are doing your own books to save money but don't have a grasp on GST basics. It is a short sighted savings. 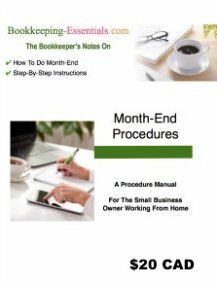 If you are audited down the road in three or four years for sales tax and have made basic errors for the ENTIRE audit period, the "pain" you will be feeling is not worth the bit of money you saved by doing the books yourself. 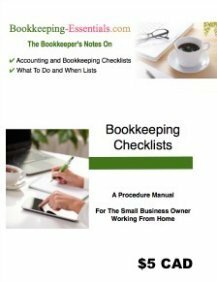 Please consider hiring a bookkeeper to do your books.